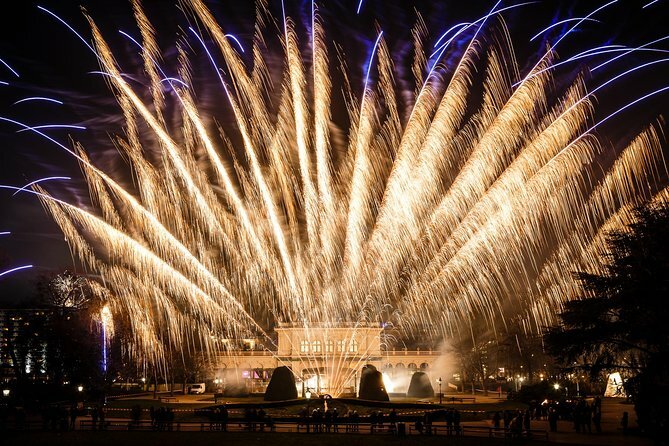 End your year on a high with a New Year’s classical concert in the splendid setting of the Kursalon Vienna. Choose to attend on New Year’s Eve or New Year’s Day and experience an evening of glamor in the Renaissance-style concert hall, which was popular among Viennese elite in the 19th century. Choose from a selection of seats and hear the dulcet sounds of Strauss and Mozart as performed by the Salonorchester Alt Wien. Upgrade to include a delicious 4-course dinner or choose the VIP category for prime seats and extra perks. Dress up for an evening of sophisticated celebrations, and make your way to the Kursalon Vienna. This plush concert hall was built in the 19th century and the venue, with the help of composer Johann Strauss I, helped popularize the waltz in Vienna. Depending on the seating category you've selected, find your place and settle in for an evening of captivating entertainment. During the 2-hour show, the extraordinary musicians of the Salonorchester Alt Wien will bring the exquisite melodies of Viennese composers to life. Get carried away by the melodic strains of Mozart and Strauss, and by the accompanying performances of talented opera singers and graceful ballet dancers. If you’ve selected a VIP ticket in the first two rows, sip on a glass of sparkling wine during the interval, and receive a complimentary program and a Johann Strauss CD to take home as mementos. After the concert, learn the art of waltzing at a dance workshop, and then put your skills to practice during the New Year's festivities. As midnight approaches, make your way onto the terrace, then watch the night sky come alive with a spectacular fireworks display. Please note: The waltzing workshop and fireworks only take place on New Year’s Eve. If you want to combine classical music with fine food, upgrade to include dinner. Arrive at the Kursalon Vienna in early evening to indulge in a 4-course Viennese feast before the show. See the Itinerary for a sample menu.